Now even you you had no idea the name, there is no question that you have seen one of these vehicles driving around your neighborhood. 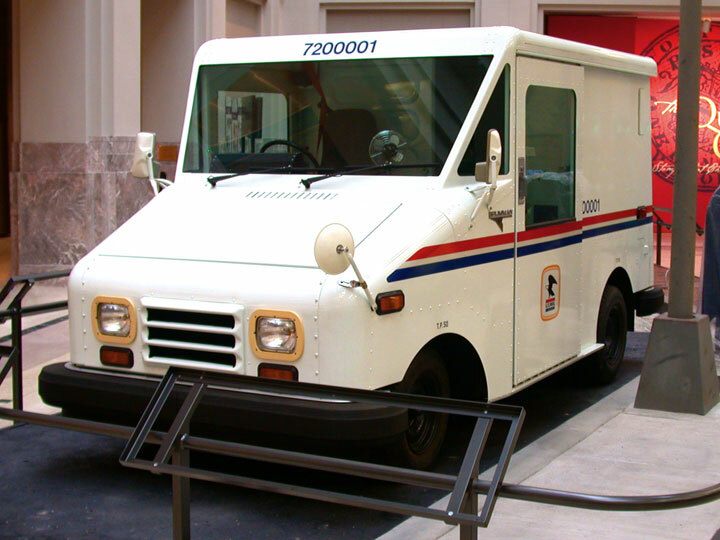 Is the Grumman Long Life Vehicle known simply as the LLV and it is the primary mode of transportation for the United States Postal Service. More than 100,000 of these quirky little box looking vans are scattered across the US, most it not all of which in right hand drive format. That way the postal worker didn’t have to step out of the vehicle when delivering mail.